Condolence: LoRetta was always kind and thoughtful to all she met. We will always have very fond memories of her. Our condolences to her family. 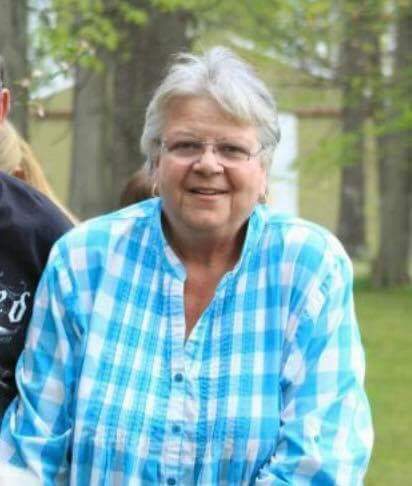 Condolence: Words can’t express what Retta meant to everyone who belonged to the Fairview family over the years. She was truly an angel on Earth. She was one of the most caring and giving people I have ever met in my life, and the lives she touched are too numerous to count. My heart goes out to her family; she will never be forgotten. Condolence: Ronnie, I’m so sorry about the loss of your mom. She was one heck of a lady and she’s left a great legacy not only in all she accomplished in her life, but also in you and your family. I hope you all can hold onto the good times to help you in your grief. Condolence: I am so very sorry for your loss. Retta was a kind, loving and generous person. I had the good fortune of spending many years at Fairview with her. In my early years she was my room mother and then later she took care of my son Christopher. As I was decorating my tree this year, I noted the many beautiful ornaments I had received over the years. She will be greatly missed by a great many people. Condolence: Many prayers to of of LoRettas family especially her 3 kids, I posted a message on my wall noting her 2 kids, but when I still lived in Bloomington, she and Ronnie only had Rhea Dawn and Ronnie Jr, so please forgive my mistake for their 3rd child Randall. Your Mom and I were best friends in elementary, and then in Jr High until we entered high school we both had other friends so we lost track of each other. But She babysat my 3 girls until we moved to Minnesota and she was the BEST of the BEST, and thats why called her Home to be with Ronnie,as she lost him so young and she missed him so so much. I will always miss her though since our friendship started so young when we both lived by Bryan Park and LoRetta lived on Park, we had some awesome times. RIP my dear derar friend, but now your with your beloved Ronnie!! Condolence: LoRetta was a bright light to each day when I began teaching in 1979 in the Adult Education Program, at the time located in Fairview School. Always cheerful, always finding positive ways to improve the lives of the students. Some lucky people, hopefully in Bloomington, now have the full-sized Raggety Ann and Andy dolls she made for my daughter. The world has lost a bright and shining star. I haven't seen you or your mother in years but I am grieving too. Your momma was my favorite person at Fairview. She had a heart of gold. While I had a hard up brining she helped soften that with her big smile and awesome loving attitude. I'm so sorry for your loss and am here for you if you need someone to talk to. Condolence: So sorry Randy and Heather.Prayers for the family for your loss.Love you always. Condolence: I am so sorry for your loss. Sending thoughts, prayers, hugs & love to all! Retta was loved by all that knew her. I'm blessed our paths crossed when I worked at Fairview. I have plenty of memories to tuck back in the memories department of my heart to play back any time I think of her and I know y'all do too. I have holiday themed ceramics and ornaments from Retta that I will pull out and think of her AND y'all each time. She will be missed by so many people that she touched in one way or another. She is gone from our sight, but never from our hearts. I hope you feel surrounded by much love and strength from others during this time. Love y'all! Condolence: So sorry for your loss Rhea & family. I know what a rock this lady was for all of you. Thoughts & Prayers to you all.